This weekend, Spetember 5-7, you’ll find Josh & Andrew on McNulty’s beat for another Baltimore Comic Con. Find us at Table A143 in Artist Alley — where you can pick up all of our books to date, including our just-days-old new issue of QUARTER MOON, number four: WATERS. 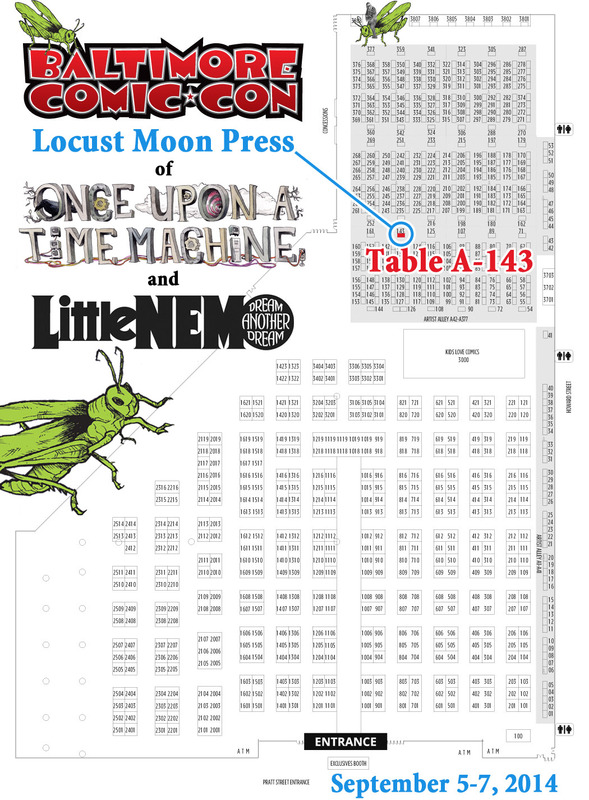 And when you stop by the table, you might want to take a peek at the one advance copy of LITTLE NEMO: DREAM ANOTHER DREAM that we’ll have on hand (not for sale at this show – but very pre-orderable!). As usual, look for the ONCE UPON A TIME MACHINE banner and we’ll be there. This entry was posted in Conventions and tagged baltimore, convention, dream another dream, little nemo. Bookmark the permalink.